I like pretty things. That's a pretty simple statement. But, if I could live my life exactly how I wanted to live my life, I would look at or make pretty things all day long. Forget all of the tedious stuff. Just give me the pretty stuff. Unfortunately, we usually have to deal with the tedious stuff too. The bills. The meetings. The playdates. The sports events. The school events. The doctor's appointments. 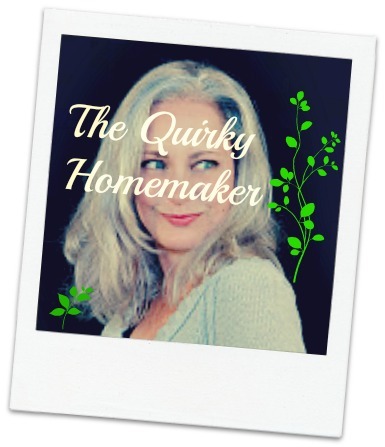 Scheduling and organizing a family can be crazy. It doesn't have to happen on some plain old, utiletarian bulletin board, though. You can pretty up that much-needed message center with a gorgeous decorative cork board. The PinPix decorative bulletin board comes beautifully framed. I was very impressed with how professional and beautiful the framing on the bulletin board was. The bulletin board I received has a black satin wooden frame. It is extremely sturdy. You know how some frames feel kind of flimsy? This one is strong and sturdy. The back of the bulletin board has that paper on the back that professionally framed artwork has. There are two different ways that you can hang the bulletin board. 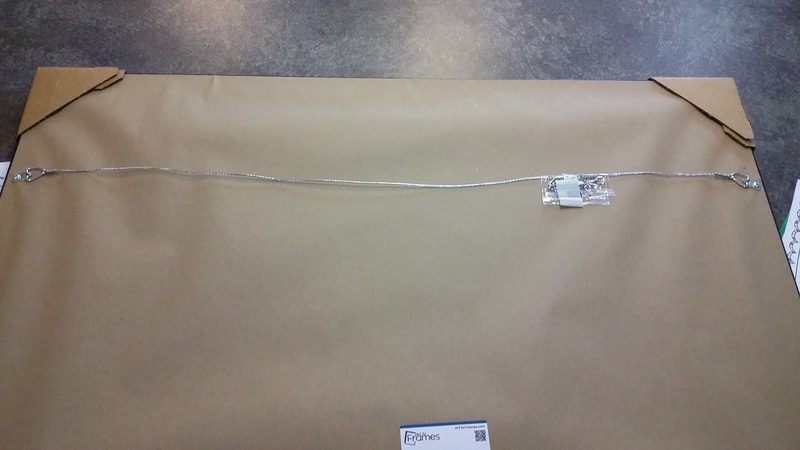 It comes with a hanging wire attached to the frame, with the hardware to hang it by the wire. It also comes with hangers that you can attach to the frame with nails, so that it can be hung on screws on the wall. That package of hardware comes with wall anchors, screws and the hardware to attach to the frame. 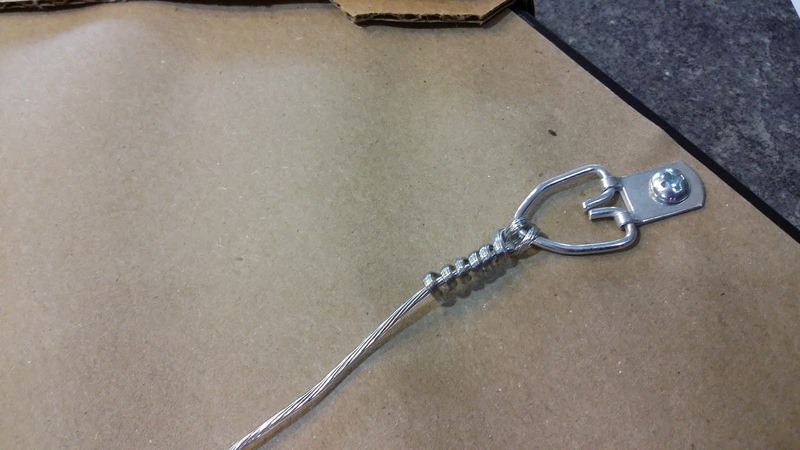 If you hang it with the wire, it can only be hung horizontally. But with the included hardware, you could hang it vertically. 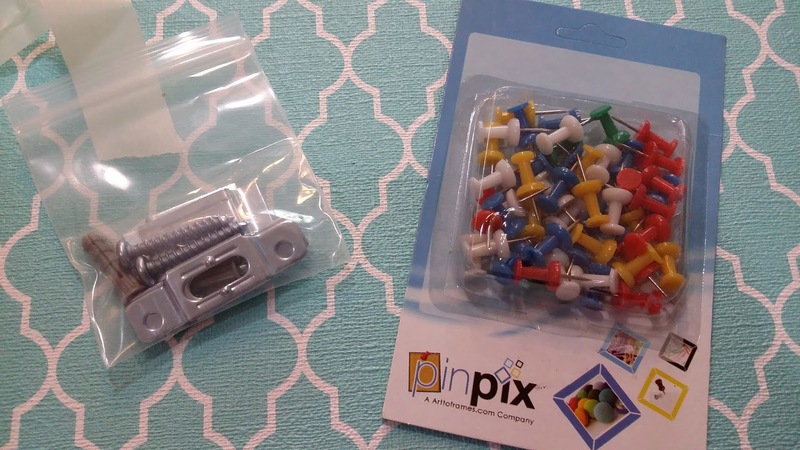 It also comes with a package of push pins and a coupon off code for your next order. Now, let's talk packaging. This thing came so well packaged. 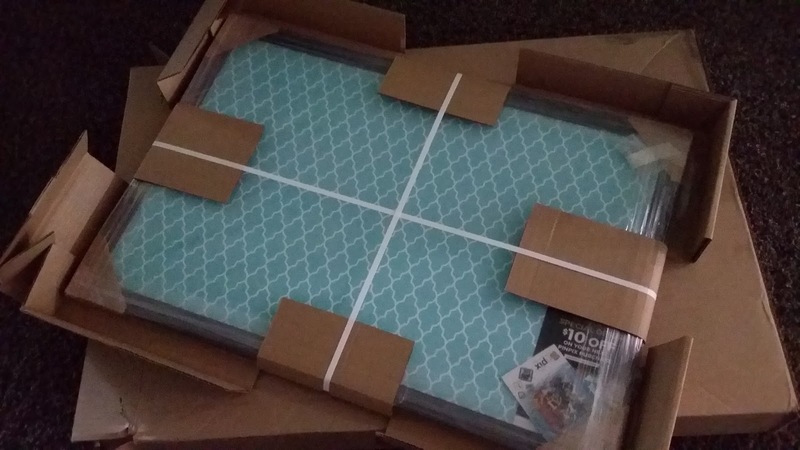 It was inserted into a cardboard protector inside the box. It also had corner protectors and was wrapped in plastic. 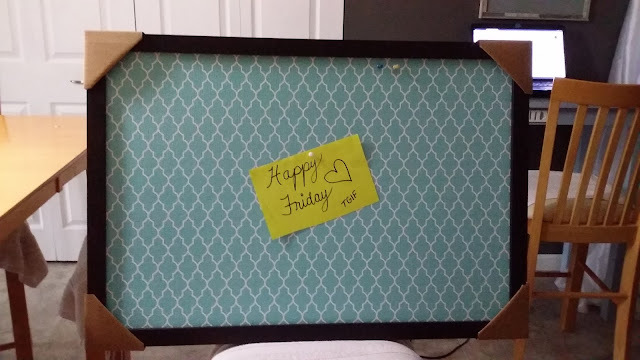 It's obvious that the company wants this gorgeous framed cork board to arrive to you without even one little ding on it. The pattern of the actual cork board is so pretty! Mine is an aqua blue with a quartrefoil pattern. My daughter has already tried to steal it! 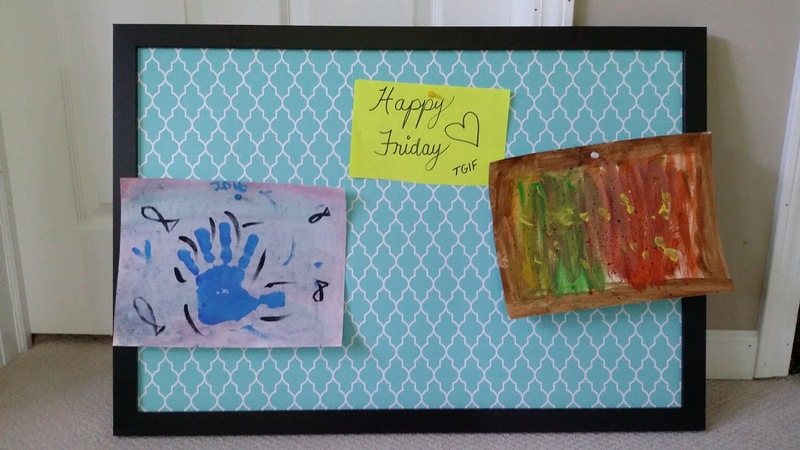 She wanted to change the colors of her room to the colors of the bulletin board and STEAL. MY. BULLETIN. BOARD. Hehehe. We'll see if that happens. (I haven't been very good with sharing the last couple days, have I?) Haha. I want to keep all of the yummy things and the pretty things to myself. 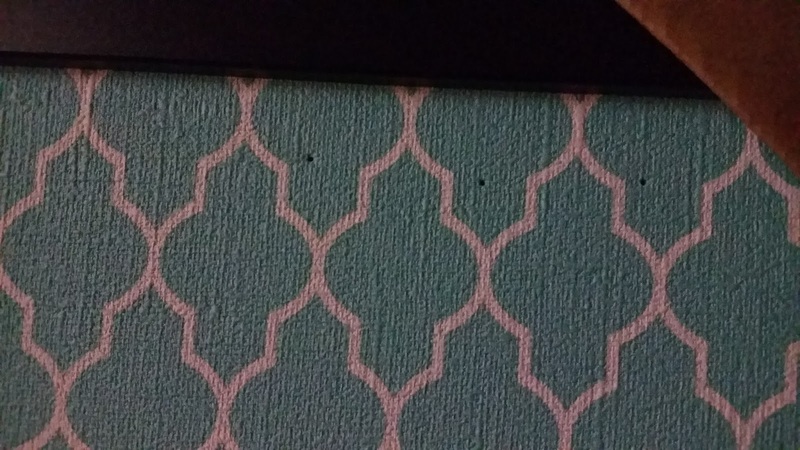 What was supposed to be cool about this decorative cork board is that the finish was supposed to be self-healing. It's kind of a rubbery painted fabric type finish. By fabric-type finish, I mean it has a "woven" texture like a fabric. The finish was supposed to "heal" the holes that you make with the push-pins within 48 hours. Although, the holes weren't supposed to totally disappear, they were supposed to be minimized. Like a good product reviewer, I poked my holes and dutifully waited for them to disappear so that I could report back to you guys. But, the holes didn't disappear. I poked another hole one day and the next day THAT hole looked like it was smaller the next day. Since it's getting warmer, I figured maybe it was because the warmth helps the finish heal quicker. What did I do next? 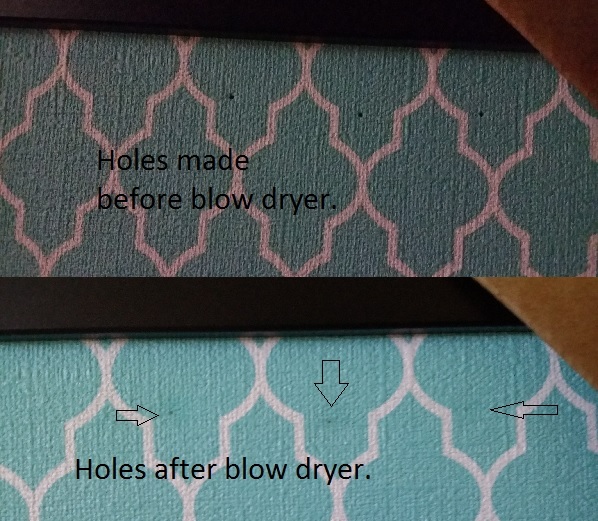 I got my blow dryer and held it over the first three original holes to see if that would help "heal" the original holes. And guess what? It did! So, if the holes on the board don't bother you, no sweat. If they DO bother you and you would like to try to heal them, the blow dryer worked for me, although it looks like I might have worn some of the finish off by scratching it with my fingernail. So, it might not be the best thing to do. It might have been okay if I just heated it a little and then left it alone instead of trying to scratch it. Holes or no holes, I think the decorative cork board is beautiful and the framing is exquisite. Now, let's just see who ends up with it! It will hopefully end up on a wall in my craft room/office! 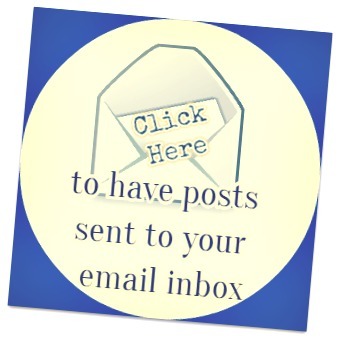 How do you have the message center set up in your house? It is very pretty, I have a plain cork board and the holes in that show aand there is no way to make them smaller so that would not bother me.